This article was published in: Tilman Baumgärtel (Ed. 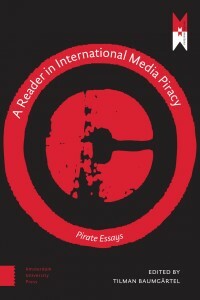 ), A Reader on International Media Piracy, Amsterdam University Press, pp. 131-144. It is the English translation of Zur politischen Ökonomie von Kopie und Kopierschutz. Why does copy protection exist? What is been protected against whom? The spontaneous answers to these simple questions refer to the prevailing forms of thinking in commodity society: The “intellectual property” just has to be protected against theft, just like everybody locks their door in order to prevent the television set from be carried away by “TV pirates”. Aside from the fact, that locking the door isn’t common everywhere in the world, the analogy to the material world is inadequate too. The analogy is created arbitrarily, it is an ideological form. The digital copy does not affect the original, it does not take anything away, but adds something to the world. In many Asian societies, a copy is something noble to strive for. The copyist imitates the master; she wants to perfect the imitation, and then to surpass the master to become a master herself. This understanding of accumulating human knowledge is completely lacking in western societies. 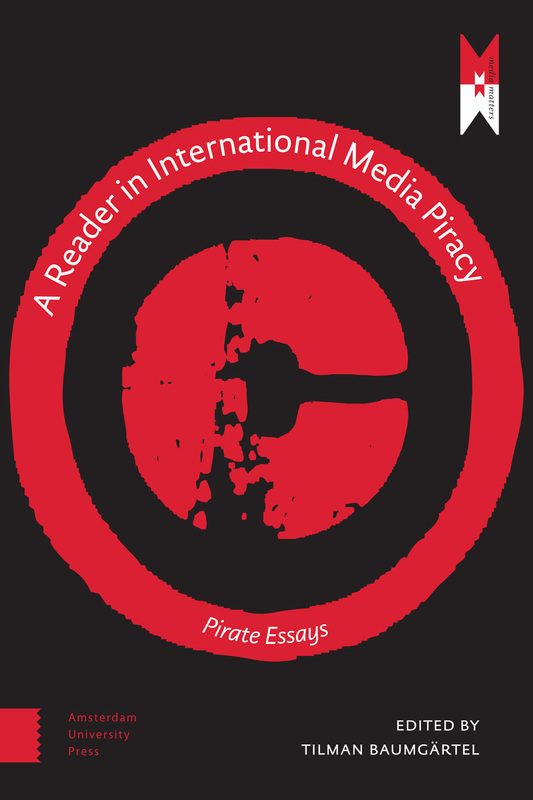 On the other hand, the western ideological form of a “pirate copy” is simply incomprehensible in many Asian countries. But also in the West, the everyday reasoning of the “smartphone generation” can hardly comprehend that somebody should lose something if a private copy is made for personal pleasure. Let us start with the copy. What is a copy? A copy is the result of a reproduction, the realization of something conceived, or the replication of something already produced. The English language makes this ambiguity obvious: “copy” does not only mean “duplicate”, but also “instance”. Now we will need some conceptual clarifications. So far, mainly the digital copy was mentioned, but forms of physical and analogous as well as of digital reproductions should be distinguished. Additionally, both the aspects of product and production process have to be considered. The emulation or imitation of a physical product is deemed to be plagiarism, if the different authorship is not unveiled but the work is presented as original, and it is deemed to be counterfeit, if the authorship is claimed to be identical to the original author and the copy is claimed to be genuine. However, the imitation never fully corresponds with the copied object, original and copy always exhibit material differences. Hence, not the item itself is reproduced, but mainly the idea or purpose is copied by approaching the original physique through imitation as closely as possible. Imitation requires knowledge about the production process, because otherwise the copyist cannot realize the copy. A copy is always both process and result. The side of the process is about the production know-how, the side of the result is about the product’s purpose. Plagiarism and counterfeit have been outlawed long ago, while open copying being imitation without a false authorship claim has only been delegitimized with the emergence of the commodity society. What is conceived as an acceptable or a condemnable copy is the result of societal struggles and cannot be justified independently. Today, “me-too” products are permitted if they represent some properties of an “original”, but not all of them. Generics as agent-identical drugs are illegal during the patent lock period, while effectively equal analogous compounds with slight variations in agent composition are allowed. Imitation cheese is equally legal, though its origin being copy from an original cheese model has to be veiled, because otherwise the fake cheese could hardly be successfully sold. Historically, immediate physical copying occurs in the period of pre-capitalist handcrafted production of artifacts as well as in the period of manufacture production during early capitalism. The intended purpose of the product—what it is good for— is completely concentrated in the producing persons who have the production know-how. Manufacture differs from handcrafted production by the formal subordination of labor under a capital, which aquires the produced commodities and thereby the surplus value, while craftsmen still self-determine their labor and valorize their products themselves. The societal meaning is objectified within the product as realized purpose whereas the production know-how as intended purpose remains volatile since it almost—except for symbolic representations like drafts, plans, models—does not undergo material fixations. This fundamentally changes with industrial revolution. Copies as results of inaccurate manual reproduction processes have such different individual physical qualities, that the resulting items have to be viewed as being unique. Thus, also in this respect immediate physical copying always leads to individual products, quasi material originals. Only the purpose is duplicated with each new realization. The craftsmen’s copy as the repetitive making of the same product was implicitly limited by the knowledge about the production process possessed by the craftsmen, which cannot be readily revealed by simply looking at the final product. However, this more or less large knowledge advantage could eventually be leveled by other manual copyists catching up. Thus guilds and granted privileges acted to provide “copy protection”. As the industrial revolution lead to more and more tools and process knowledge being transfered “into” machinery, materialized knowledge became increasingly important. The hand-copied product could not compete with the industrial product, because handcrafting was too time-consuming. Now, the interest of copyists turned towards the copy machinery itself. The machinery, i.e. its design and functional principles, has to be kept secret, since it represents an essential part of the copying know-how in an objectified form. Often copyists of machine-embodied copying know-how were—as “late adaptors”—able to avoid faults of the original machines by copying them in an improved manner. German companies have been experts in this field by catching up and finally outpacing technological advances of English producers—until they themselves learned how to defend their advance against other copying desires using governmental support. The essential mean for doing so become the patent, the state secured limited monopoly guarantee of valorization. Economically, material mass copies are normal commodities. Realized in a separate private production processes, they are exchanged on markets for money, thus gaining societal validity and generality. Markets act as indirections mediating and generalizing private work. The measure of mediation is not utility but value, which is the societal average effort to produce the commodity. Thereby markets as mediators of private work enforce the split-up of use value (abstracted utility) and value (abstracted labor). The commodities gain societal generality by their labor abstraction. Capitalist mass production starts with industrialization. While the hand-crafted copy was an unicum due to different qualities of each reproduced item, the mass product is structurally uniform due to the objectified craftsmen operations “in” a machine. The template for the singular crafted reproduction does not come from a material role model, but from the objectified algorithmic production logic. The intended purpose which is to be objectified is no longer the living empirical know-how of the craftsman, but it is implemented “in” a machine in the form of engineer-dissected and re-synthesized knowledge. Now, the copy is the repeated application of a machine-objectified algorithmic definition of the product. The knowledge of the intended purpose has migrated from the human being into the machine and can now be applied as analogous, material mass copy. Mass products as analogous copies are multiple repeated carriers of always the same intended purposes, which finally enter commodity circulation as both use value and abstract value. What is copied here is the intended purpose, not the incarnated product. Despite uniformity the single copies are not identical, but they are only analogous. Each single product remains an “individual” with its own “biography” of use. Mass production is a precondition for the development of materially neutral products. While with materially bound products, their physical qualities immediately shape utility and societal meaning, materially neutral products are those where the physical shape is only relevant as carrier, but does not constitute utility and societal meaning itself. This applies especially to knowledge products. Analogous copies are not only related to materially bound mass products, but also to basically materially neutral content on physical carriers. Now, product purpose and meaning are no longer determined by the physical quality of the carrier, but only by the carried content. The text of a book may be released as a hardcover or a paperback and it may show different aesthetic qualities, but the text itself is normally not affected by these different shapes. The same applies to music or film using different media for recording. Since non-material content and physical carrier are separated, plagiarism may be recognizable by content, whereas a counterfeit is not detectable without further ado. Thus, the notion of a pirated edition had to be created before outlawing the reprinting of well-selling books in the early modern era, because no exclusive exploitation right existed at that time. Also citation as a socially legitimate form of reproduction arose in this context. While at first author credits were not obligatory (e.g. in musical citations), today giving credit is a legally established obligation (for texts) or the use has to be explicitly allowed or licensed (for music, e.g. via collecting societies). The content transfered to a separate carrier can be relevant for the production process itself. Hence, algorithmic production know-how can be separated from its mechanical form. Early examples are Jacquard looms, where the production logic exists in form of punched cards separated from the machine, which can be changed according to the intended purpose. The machine generates its process steps by direct mechanical reading of the card holes. The weaving pattern as part of the intended purpose has now moved to an external representation. The punched cards of the Jacquard loom are materially dependent. They can be made of carton or another material (e.g. wood or plastic), but their physical constitution must suffice the machine reading mechanics. Here, the neutrality of matter is related to the content, to the algorithmic production know-how, which has emancipated itself from the machine. The machine does no longer represent a specific intended purpose, but is rather neutral. Anybody who wants to copy the production know-how does not need to rebuild the entire machine, but only the punched cards. But these reproductions have to fit to the machine they are made for, which limits the material choice and pre-determines the minimal quality of the analogous card copy, in order to work with a machine identical in construction. The automatic loom is therefore still a specialized machine, solely the spectrum of products (weaving patterns) is extended. The limited material neutrality—neutral in relation to purpose, but not in relation to the production process—will only be overcome in the digital age. After the execution machine has been separated from the knowledge carrier, the interest of the copyist turns towards both aspects. Since the execution machine is a specialized machine of the analogous age—needing a material-specific knowledge carrier, in order to operate as a complete machine—machine and carrier isolated from each other are inoperable. However, provided the execution machine is available (e.g. acquired as means of production), the knowledge carrier—representing the productive logic—shifts into the copyist’s focus. If suitable punched cards of the Jacquard loom can be copied and raw material is available, then nothing prevents the production of the latest fashionable fabrics. The creator of the new pattern will be duped and eventually ruined. Here, modern copyright law and its derivatives (utility models, trademarks etc.) have to intervene. However, first copyright law has to be transformed from a traditional right based on privileges to an exploitation right. With the separation of the information carrier from the execution machine, the production of information carriers itself is commodified, whereas the production of physical carriers becomes a subaltern moment of the represented information. The labor and material effort required to produce analogous sound carriers is small compared to the effort it takes to create and record the sound itself. Since the execution machine is a special machine, which only functions together with the specific carrier, and since the analogous information carrier cannot be reproduced in the same quality as the original without high effort (i.e. copies of analogous sound carriers are of minor quality compared to the master), there is a technically immanent barrier preventing unlimited copying. This technical limitation together with copyright provide an effective hindrance, therefore explicit technical copy protection is yet not an issue. Economically, the information carriers do not essentially differ from conventional mass commodities. They can become fully fledged commodities if execution machines (e.g. players for analogous sound carriers) are sufficiently widespread. Again, there is a material interconnection between carrier and carried content, although production costs become minimal and highly scalable. While each carrier represents an “individual”, the informational content is of a general nature. The content appears on each single product and can be potentially transfered to another type of carrier as long as a special execution machine also exists for the new carrier (e.g. from the analogous record to the analogous tape). Since the production costs of additional information carriers are small compared to the initial effort for producing the content, producers get an ideal mean to realize extra surplus value. An extra surplus value can be gained if it is possible to reduce the cost for the commodities to a level below the societal average. This explains why the culture industry strives for generating “hits” by creating a uniform mass taste. The coupling between carrier medium and content, which had already become loose, dissolves completely with the digital copy. Now, the focus is exclusively on the reproduction of content, while the carrier medium becomes neutral in regard to the content (as earlier the production know-how in regard to the machine). With analogous copies, the quality of the carrier material was still reflected in the quality of the product, so that an identical reproduction was difficult or even impossible. A copy (nearly) always implied a quality loss of the carried content. In case of digital copies, previously and newly made products are identical. There is no longer a substantial distinction between “original” and “copy” , but only a social one: Who has copied what from whom? Due to the separation from a distinct material carrier—it only has to be any carrier—in the realm of the digital all copies are originals and vice versa. The second important characteristic of the digital sphere is the decoupling of the reproduction process from the material effort. Note that decoupling does not mean that there is no effort. Indeed, the input of material, energy, and labor is vanishingly small at the moment of reproduction, however, establishing the infrastructural conditions requires an significant amount of material, energy, and labor. Compared to the production of material goods, the effort has completely shifted towards the infrastructure. Before, the process description emancipated itself from production process, now it emancipated itself from the carrier material. The triplet of digital algorithmic description, carrier of the digital representation of the described object, and a process machine executing the algorithmic description is always there. In this regard, there is no difference between producing steel or playing music. Digitality means universality, thus complete content neutrality: Every content can be coded if a code executing machine exists. What a missing executing machine implies becomes obvious when one desperately searches for a slot for an “ancient” floppy disk. Archiving has become an important problem in the digital age. The universality of the code corresponds to the universality of the executing machine, the computer. In manufacturing, the universal computer is accompanied by the universal process machine, e.g. a production robot. Temporarily there has been the idea of a totally digitized and automated production (called Computer Integrated Manufacturing). But this was an illusion, since automated processes cannot implement something genuinely new or unknown (including disturbances, see Baukrowitz 2006: 102ff.). The separation of the external information and knowledge carrier from the execution machine was a huge developmental step. Compared to this big step, the change from the analogous to the digital representational form seems to be less important. However, the consequences have been much more profound. The analogous form of representation sticks to a distinct material manifestation, which is able to map continuous transitions. Be it the groove shape of a record, the degree of magnetization of a tape, or the pattern for the production of trousers—continuous scales are always described in a physical form. The measuring accuracy limits the precision of the analogous mapping. With the transition to the digital form, these limitations (and some more) have been overcome. The material dependence of the carrier disappears, there only has to be a carrier, which is able to describe two states. The mapping precision is potentially unlimited, because by extending the digital numeric representation limits can be arbitrarily shifted to an extremely big or extremely small scale. In short: the digital form is a universal representation form. The universal digital form is complemented by an equally universal execution machine, or better: mediation machine, which is no longer defined for a specific intended purpose and which can supply nearly any execution machine with adequate control signals. The computer has risen to a universal mediator of the societal infrastructure: Internet, production, consumer goods, services. With the digital form, the creation of a copy became drastically easier and more cost efficient. Binary codes can be arbitrarily combined, and binary combinations create new meanings, purposes, and applications. From the moment of its creation, each digital invention is only a mouse click away from global distribution through copying. Copying is no longer an extraordinary event, but the core of the digital movement pattern of the binary code. The general digital infrastructure is based on the copy. Stopping this movement would imply to switch off the infrastructure and shut down the society. Economically, the digital copy perpetuates a tendency which began with the analogous copy. The main effort in commodity production is directly related to the content, while due to the digital form the distribution has moved into the general digital infrastructure. The universality of the digital form contradicts the social form as a proprietary commodity. Precondition for being a commodity is the scarcity of the good. Contrary to the assumption of classical economics, scarcity is not a natural property of the good, but the result of the social form of its production as a commodity (vgl. Meretz 2007: 68f.). However, the singularity and limitation of a material good can easily be used to practically arrange scarcity—e.g. by preventing access to commodities, reducing their production, organizing delivery restrictions, destroying goods etc. Arranging scarcity is not possible with digital informational goods without additional measures. Usage and scarcity are contradictory. Usage means copying, the commodity form implies prevention of coping. In terms of valorization, “good copies” have to be separated from “bad copies”. This separation can only succeed if producers of content—who want to press their contents into the commodity form—can control and manipulate the digital good as well as the digital infrastructure. This target was and is pursued. Two technological approaches have evolved. The first approach was (and is) the digital copy protection of the product, thus connecting the usage of the digital information with the availability of a key, which is distributed over other channels (e.g. as imprint on a DVD cover). However, as the keys can be easily digitized and distributed over the same general infrastructure, this is bound to happen on a massive scale. If such keys do not originate as leaks directly from the source, they can be decoded by cracking, or the source code can be manipulated to accept any key. Every “protection” in the medium of the digital can also be discovered, bypassed, or levered out in this medium. It is only a question of skills and effort, thus of time, until new digital locking mechanisms are made useless. The tortoise often catches up with the hare in the first meters. The second technical approach is to control not only the digital good, but also the execution machine. This is the basic idea of Digital Rights Management (DRM), which has largely failed. DRM combines an encrypted product with a virtual execution machine, which alone is able to “play” the encrypted product. Many DRM systems do only exist as software, however, the real goal is to combine DRM software with DRM hardware. An individual key is deposited inside a DRM chip which can be read by the content controllers (cf. Meretz 2007: 74ff). Only with isolated devices like set-top boxes, DVD players, game consoles, eBook readers etc. some certain durability of digital control can be maintained. What DRM in eBook readers implies suddenly became obvious, when Amazon 2009 remotely deleted legally purchased texts of Orwell’s “1984” and “Animal Farm” from their costumers’ readers—including their personal notes (see also Stallman 2010). The DRM approach reveals the undissolvable contradiction of capital. On one hand, the digital infrastructure is the ideal medium for the distribution of informational products, because it is freely accessible. Openness and neutrality are essential conditions. On the other hand, these are exactly the two conditions which facilitate the activities against the commodity form, showing a whole spectrum from “piracy” (illegal copying) to the creation of free cultural and informational goods. DRM is the attempt to build private subnetworks into the public network, which can be controlled only by private exploiters. A complete control, however, would require the enclosure of the private subnetworks. But such an enclosure is very complex and difficult to achieve, because all virtual “transition points” to the general public network have to be controlled. Additionally, it would stall the very innovations which are the precondition for new exploitable products. This contradiction between openness and control must turn out in the favor of openness, because otherwise the basis of valorization will be strangled. The simple rule of this rivalry is: Who is more open, prevails (cf. Bauwens 2009). But there is an exception to every rule. With Microsoft’s almost complete control of desktop operating systems, there exists a special situation. The company could reach a monopoly when the general digital infrastructure was still very weak, which it defended until today with crude tricks. Microsoft can afford not to be open, but first break-ins into its dominance have been successful. The company had to replace their old proprietary document format with a new open version (so called OOXML), in order to achieve an ISO certification. The Open Document Format (ODF), which is used by OpenOffice and LibreOffice, had achieved this status before OOXML. Moreover, Microsoft had massively to intervene to push the national standardization bodies to accept its proposal, since the submitted and then approved draft (6000 pages!) actually contradicts the idea of transparency. Additionally, Microsoft had to waive numerous OOXML-related patents. Prohibiting the circumvention of DRM became therefore the central demand of the content industry, which was included in the World Intellectual Property Organization (WIPO) treaty on copyrights in 1996. With the Digital Millenium Copyright Act (DMCA) of 1998, the USA transfered the provisions into national law; the EU followed in 2001 with a corresponding directive. Germany implemented the EU guidelines in 2003 and 2008, including the circumvention prohibition for DRM. The legal private copy was mostly eliminated (vgl. Weißenborn 2009). The development from the material copy via the analogous to the digital copy reflects the double algorithmic revolution in the development of the productive forces of capitalism. The immediate physical copy falls into the period of handcrafted and manufacturial production of beginning capitalism. The analogous copy falls into the period when the tools and production know-how of the craftsmen were transferred into machines, including the algorithmic integration of single processes into the integrated production flows of the Fordist-Taylorist total process. Finally, the digital copy falls into the period of the separation of the flexible process machine from the digital algorithmic universal computer in post-Fordist production (cf. also Meretz 2003). Initially, the copy was related to a physically embodied purpose, then to a content narrowly coupled with a physical carrier, and finally to the digital representation of content on an arbitrary carrier. Today, the three elements are produced separately: content, carrier, and digital representation. It is obvious that the carrier is insignificant in this relationship and the digital representation is a vanishing moment. The existence of an execution machine is always necessary. If an execution machine is available—chemical factory, automotive plant, music player, police force—then the content represents the final “product”: the drug, the car, the song, the computer surveillance. The execution machine is less and less a single machine for specific purposes, but it is increasingly integrated into a general infrastructure, where the universal representation is the digital form and the universal mode of processing is copying. For capitalism, whose basis is the exploitation of living labor, a fundamental contradiction emerges: The same medium, the general infrastructure, is the place and the means of production, distribution, and consumption. For production, the digital medium has to be enclosed and made exclusive, in order to guarantee the private form of production. Using physical separation of devices, data, and knowledge from the general infrastructure by technical (firewalls, virtually closed networks) and organizational (non-disclosure agreement) means, the public shall remain excluded. At the same time, the public sphere is always present: in scientific cooperation, by using the general infrastructure, during the exchange with customers, when using customer’s knowledge to optimize products, and finally cumulating with user-generated product innovation via “crowdsourcing”. Patent and copyright are legal means to cope with the contradiction of private and public aspects of production in a way that enables valorization. However, the share of general preconditions of production is steadily increasing. Every private dissociation repels potential innovators. Only openness can prevail. The strategy is: Release some parts of your private production (knowledge, patents, devices, labor, code, documents etc.) to the general infrastructure and thereby win innovative power, trust, and knowledge. Only those who are open, can exploit the general infrastructure for private gain. The distribution depends on the openness of the digital infrastructure as a “free market”. At the same time, each of the private market participants wants to control “their” market share in two directions: On one hand, competitors shall be kept distant; the other hand, products in the hands of users shall be kept private. For a long time, the implementation of the own proprietary functions as “standard” was the dominant path for the first goal (see the struggle on a high-definition video disc format where Blu-ray prevailed), while DRM was the preferred means for the second goal. In the field of online services, the user should originally be kept in “own” networks separated from competitors, while the new tendency supports those who open their interfaces, support cooperation, and also grant at least partial access to their data. The “free network market” needs net neutrality, but service providers are interested in the specific valorization of separated services with a defined transmission quality. Here again, the fight is between openness and privatization, which is essentially a struggle for the commodity form and exploitation. With consumption, the same contradiction is clearly visible. Copy protection and copy control are used with the goal of technically preventing that an essentially general good becomes indeed socially generalized. However, encapsulated devices are “digital islands“ that are less interoperable than those with open specifications and open access. New forms of digital control are conceived, e.g. with games. Through the coupling of purchased games with an online connection, new billing models become possible. Corresponding tendencies of transferring functions into the general network for easier valorization can be observed in the realm of software application under the label “Software as a Service” (SaaS). But each new enclosure on the side of proprietary exploiters provokes new innovations by creators of open and free products. While the free software movement was a reaction against the proprietary expropriations of software, the free design movement expresses the productive appropriation endeavor in the realm of hardware. Hardware is largely software in the broadest sense: conception, drafting, design, implementation. With digital consumer goods, mainly in the cultural sector, the trend towards prosumeristic appropriation of goods for the creation of derivative new goods (known as remix) becomes particularly clear—followed by an enormous diversification of mass taste. Here in particular, the big cultural corporations have waived the digital control with DRM, because within competition the private can only prevail if it becomes general. The uncontrolled proliferation is grudgingly accepted and combated at the same time, in order to rescue valorization. Digital cultural goods does no longer fit into the commodity form. Thus, Ernst Lohoff (2007) came to the result that digital information goods are not commodities at all. The copy was and is characteristic for the societal production of all means for life—in every society. The developmental-logical reconstruction has shown that the shape of the copy changes in capitalism from the immediate-physical copy via the analogous to the digital copy. During this development, elements have been separated from each other, which previously existed together as human knowledge and competence (possibly embedded in physical artifacts). This division enabled a separated development to a previously unknown extent, until on the basis of the digital form the reintegration into a potentially global, general digitally-based infrastructure has begun. Copy protection, copy control, and fighting “piracy” now only express the necessity to keep production and valorization within the private capitalist form. Objectively and socially, restriction of further general digital integration does not make any sense. The next historical step to be done will be to adapt the societal form to the effective general availability of products, which means to abrogate the private form of production and appropriation in capitalism. Baukrowitz, Andrea. 2006. “Informatisierung und Reorganisation. Zur Rolle der IT jenseits der Automatisierung.” In Andrea Baukrowitz et al., eds., Informatisierung der Arbeit – Gesellschaft im Umbruch. Berlin: Edition Sigma, 98-115. Bauwens, Michel. 2007. “How the Law of Asymmetric Competition Should Afffect Innovation Policy.” P2P Foundation wiki, 10 August. http://blog.p2pfoundation.net/how-the-law-of-asymmetric-competition-should-afffect-innovation-policy/2007/08/10. Grassmuck, Volker. 2006. “Wissenskontrolle durch DRM: von Überfluss zu Mangel.” In: J. Hofmann, ed., Wissen und Eigentum. Geschichte, Recht und Ökonomie stofffloser Güter. Bonn: Bundeszentrale für politische Bildung, 164-186. Helfrich, Silke. 2009. “Wem gehört die Welt? Zur Wiederentdeckung der Gemeingüter.” Heinrich Böll Stiftung website, 9 March. http://www.boell.de/de/navigation/wirtschaft-soziales-6315.html. Lohoff, Ernst. 2007. “Der Wert des Wissens. Grundlagen einer Politischen Ökonomie des Informationskapitalismus.” krisis – Beiträge zur Kritik der Warengesellschaft 31: 13-51. Meretz, Stefan. 2003. “Zur Theorie des Informationskapitalismus. Teil 2: Produktive und unproduktive Arbeit.” Streifzüge 2: 41-46. Meretz, Stefan. 2007. “Der Kampf um die Warenform. Wie Knappheit bei Universalgütern hergestellt wird.” krisis – Beiträge zur Kritik der Warengesellschaft 31: 52-89. Nuss, Sabine. 2006. Copyright and Copyriot. Aneignungskonflikte um geistiges Eigentum im informationellen Kapitalismus. Münster: Westfälisches Dampfboot. Stallman, Richard . 1997. “The Right to Read.” Communications of the ACM 40.2 (February). http://www.gnu.org/philosophy/right-to-read.html. Weißenborn, Stefan Robert. 2009. “Kopierschutz und Privatkopie. Die Grenzen der Freiheit.” Der Spiegel, 28 September. http://www.spiegel.de/netzwelt/netzpolitik/kopierschutz-und-privatkopie-die-grenzen-der-freiheit-a-651278.html. Special thanks to Christian Siefkes for translation support. Creative Commons Attribution-ShareAlike 3.0 Unported (CC BY-SA 3.0). The text may be copied and/or modified freely as long as you attribute the original author and source and keep the license requirements intact. Stefan Meretz is a computer scientist, commons theorist, and columnist for the Vienna Magazine Streifzüge. He is blogging on keimform.de.